We are supplying high purity natural gypsum in lumps powder form. We take pleasure to introduce ourselves as one of the renowned firms for providing the best-in-class range of Solid Gypsum. Gypsum, POP - Lafarge Brand. We are the importer of lafarge gypsum from Saudi. please contact for your requirements. We are the best in this market for offerin gwide array of gypsum to our desired clients. Owing to our vast experience in this domain, we are also engaged in supplying gypsum powder. Gypsum is available in two forms, viz, mineral gypsum and by-product gypsum. The mineral gypsum is mined from land deposits. By-product gypsum is obtained as by-product from different chemical plants. And we are able to supply both forms of gypsum. The material shall be the natural mineral consisting essentially of CaSO4.2H 2O and shall be in the form of a fine powder. We are providing Gypsum Rock with 90% quality assurance. SARTAJ GYPSUM India's No - 1 certified gypsum company name of the company is BEDI Exports is one of the Punjab's largest business houses come a long way since 1974. 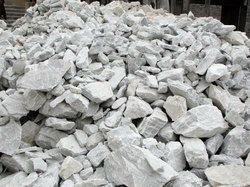 The company has emerged as a highly reliable Manufacturer, Exporter & Supplier of Gypsum Rock. The Gypsum Rock is mainly used in the production processes of the cement and there are two deleterious constituents, namely MgO and NaCl. The Gypsum Rock is available in a size of 0-50 mm, with all the sizes being available upon client request. - We Supply Iranian Grade Gypsum Plaster/powder and Natural Gypsum. Natural Gypsum is a soft sulfate mineral composed of calcium sulfate dihydrate, with the chemical formula CaSO4·2H2O. We are offering an amazing range of high quality Gypsum to our clients. Gypsum is a very soft sulfate mineral composed of calcium sulfate dihydrate, with the chemical formula CaSO4·2H2O. 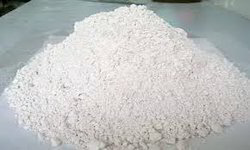 It can be used as a fertilizer, is the main constituent in many forms of plaster and is widely mined. Mineral gypsum is the most common of the naturally occurring sulphate minerals.